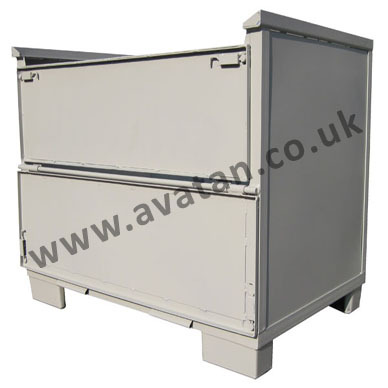 OF BOX PALLET with fixed sides and open front. 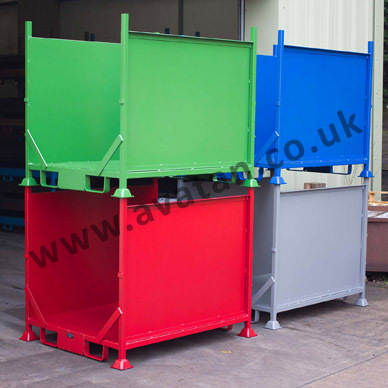 Standard and special sizes of made to order steel box pallets and stillages. 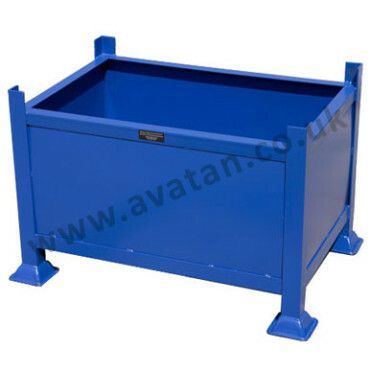 Fabricated any size and quantity, the design of these traditional metal stillages can be adapted to suit most storage needs. 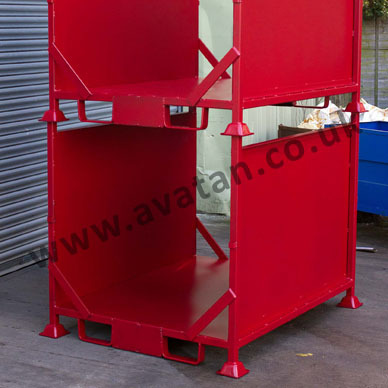 This stillage with open front and back, (no gates), can be manufactured with entirely smooth internal faces, minimising risk of damage to stored goods. 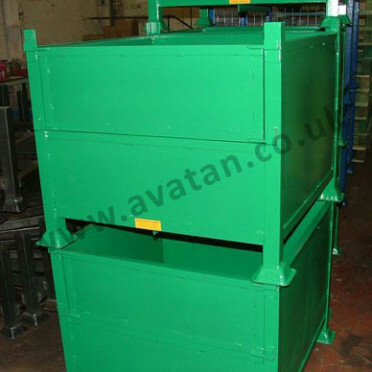 Goods may be picked easily while stillages are stacked upon each other. 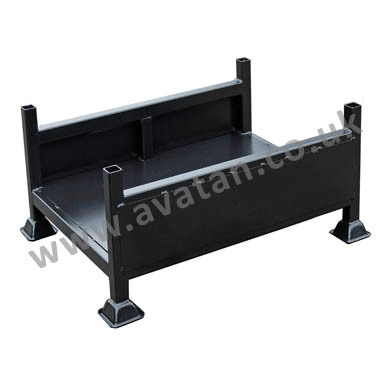 Fabricated from mild steel angle or box section and mounted on either pallet feet or fitted with nesting plugs. 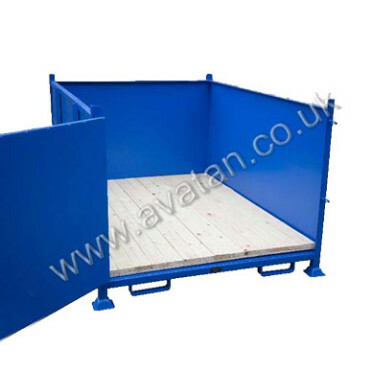 Optional gates can be fitted with standard gate hooks or with antiluce fasteners for easy access.